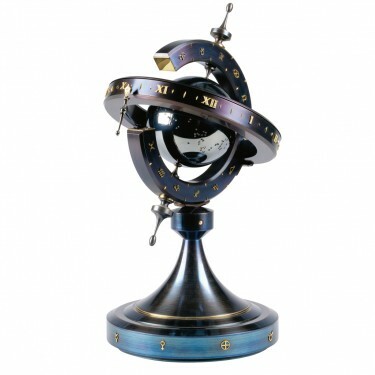 Once again the challenge has been taken up by a modern master, to create a timepiece which brings together the science of astronomy with the art of the master craftsman, combining to achieve an ancient concept, to chart the travel of the stars in conjunction with the ebb and flow of time. This magnificent scientific timepiece has been hewn from the earth's generous resources of steel, tempered to blued perfection by engineers, regulated by the patient horologist, moulded in the heat of the glass furnace, and finely decorated in gold and diamonds by the artist goldsmith. 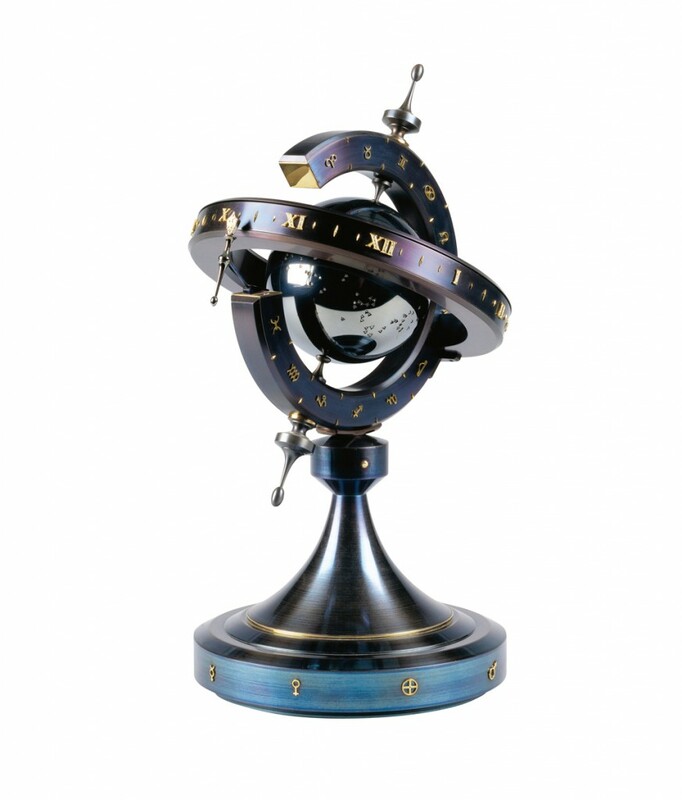 The result, a classic instrument standing 380mm high bearing the twelve constellations of our star signs in harmony with the constant Greenwich meantime, which can be regulated to any earthly co-ordinate, enabling the user to determine the stars and time at a glance. Materials: Steel, diamonds and 18 carat gold.